Justice delayed may be justice denied but surely, according to the Builders and Contractors Association (BCAD), the court's tardiness is causing more contacts to go to foreigners and even massive projects like the building of 1000 houses in post hurricane-ravaged Dominica. "The High Court is the natural avenue to seek redress when there is a major issue between the administrative arm of government and its citizens," said Anthony Leblanc, chairman of BCAD in a press statement. "However, the confidence in the judicial system can be rapidly eroded when citizens do not perceive that the High Court provides a timely solution to matters of concern. This perception lends itself to settling matters by alternative means, and anarchy is afforded an opportunity to take centre stage". The Government has raised the ire of the BCAD for the second time in about years when it signed a contact with Barbadian firm, Preconco Ltd. To construct the 1000 prefabricated homes. In a letter to government dated 28 November 2017, the BCAD said it was concerned that the local construction sector "was not contacted or given an opportunity to be engaged in delivery of housing post- Hurricane Maria" and that the contract "did not meet the desirable level of accountability and transparency." After Tropical Storm Erika in 2015, the Government of Dominica signed a contract with another Barbadian firm to build the EC$18 million Roseau West Bridge. BCAD protested by taking the matter to court but the bridge was completed before the court ruled on the matter. The High Court still has not ruled. Leblanc says the builders and contractors "made an application on 22nd June 2016 for a Judicial Review of a matter of public interest. The Court delayed in hearing the matter until 3rd October 2016. All written submissions on the matter were presented to the court between 2nd and 9th December 2016. Yet, a year later, the High Court has not seen it necessary to give a judgement on the matter". Leblanc added: "Had the High Court given timely ruling, we would not be discussing the Administration's right to implement an administrative repeal of an act of parliament, (and) transparency, financial management and accountability in public procurement and project implementation would likely not be as acute an issue." 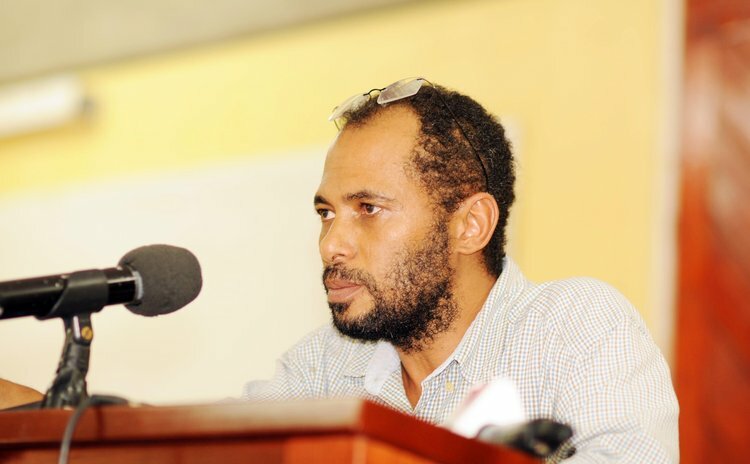 He continued: "It is of major concern therefore if citizens do not have timely rulings from the High Court in Dominica on applications to review the processes by which the administrative arm of Government has undertaken any matter. There is a real concern that the judicial system available to citizens is impotent in as far as its ability to undertake judicial reviews in a reasonable timeframe given the exigencies of situations. Information suggests that in the past, judicial reviews were heard within a few days of the applications. "One may not be unjustified in saying that there is very little recourse to justice in these matters if access to justice is so long delayed". On the issue of the 1000 homes contract Leblanc said the BCAD "cannot take the matter to the High Court for redress; we have already done so but the court appears to have unreasonably delayed justice".